An obstruction of justice conviction has both direct and indirect consequences. You could be facing jail time, labor-intensive community service, and large fines. Additionally, an obstruction of justice record makes it difficult to find a job and housing because it is viewed as a crime that reflects upon your character. If you are not a citizen then there are serious immigration consequences. If you are facing an obstruction or resisting arrest charge it is important that you have an attorney with a proven track record in defending against criminal charges. Jeff Dean has a lengthy background and proven success record with handling serious criminal cases. He has won NOT GUILTY verdicts or DISMISSALS in a wide range of criminal cases, from obstruction of justice and resisting arrest, to DUI, assault, murder and manslaughter – and Jeff has repeatedly saved immigrants who are facing criminal charges from being deported. For your particular situation, Mr. Dean will develop a strategy aimed at winning a successful outcome. You are presumed innocent in the eyes of the law. Simply because you have been charged with a crime does not mean you are guilty. To protect your rights, call Jeff Dean today: (305) 967-6311 or (954) 204-3633 for a free consultation. Obstruction of justice refers to interfering with an arrest. It often goes hand in hand with resisting arrest but it does not necessarily stem from merely running or speeding to get away from a police officer wanting to pull you over. You may also be facing an obstruction of justice arrest if you try to hide evidence from an officer or if you somehow interrupt or interfere with a crime investigation. Faced with an Obstruction of Justice Arrest? The problem with obstruction of justice arrests is that you may be left wondering what exactly you have done. And thus it is only natural to want to defend yourself by getting angry or backlashing at the arresting officer. However, this can only land you in more hot water. So stay calm and at the first chance you get, contact a Miami obstruction of justice attorney. 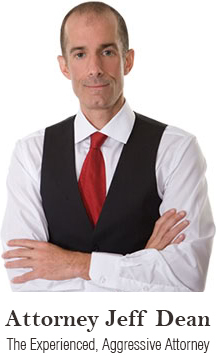 Jeff Dean has years of experience and numerous successfully tried cases behind his name. His Law Firm is committed to helping the accused faced with criminal charges. Law enforcement will often overstep their mark and use their power unjustly resulting in a false arrest. Let Jeff Dean help you understand the legal system and determine the best plan of action to pursue for walking away from an obstruction of justice accusation. Obstruction of justice can be a difficult arrest to understand and you may feel like you are being charged unfairly. Call Jeff Dean today (305) 967-6311 or (954) 204-3633.